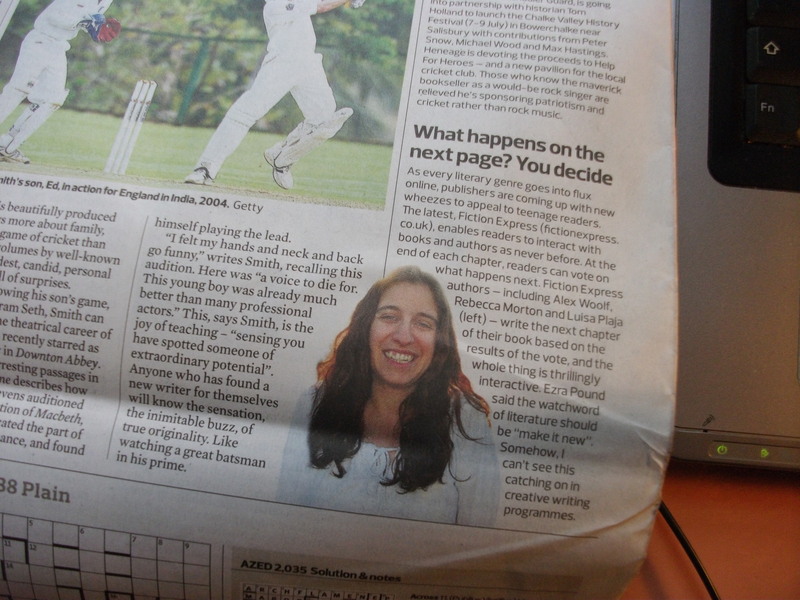 My pic in The Observer! The Observer featured Fiction Express today in their Books section (Robert McCrum on Books, The New Review p.40). The piece is online, and the print version also featured a picture of me! 5 comments to My pic in The Observer! hooray! press is always fun. Thank you, Jenny and Sarah!